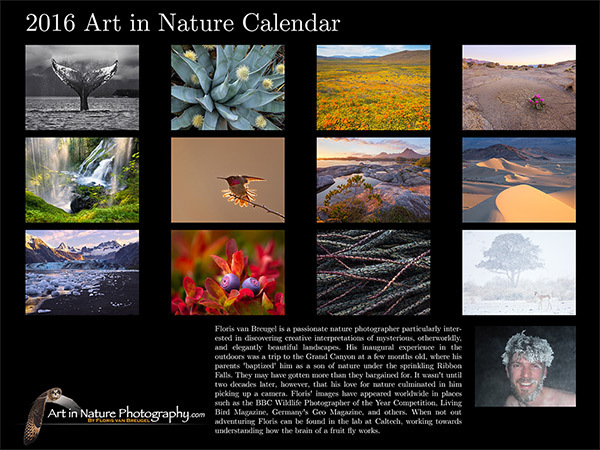 My 2016 calendars feature a selection of images from my travels including California, Washington, Alaska, and Wyoming. 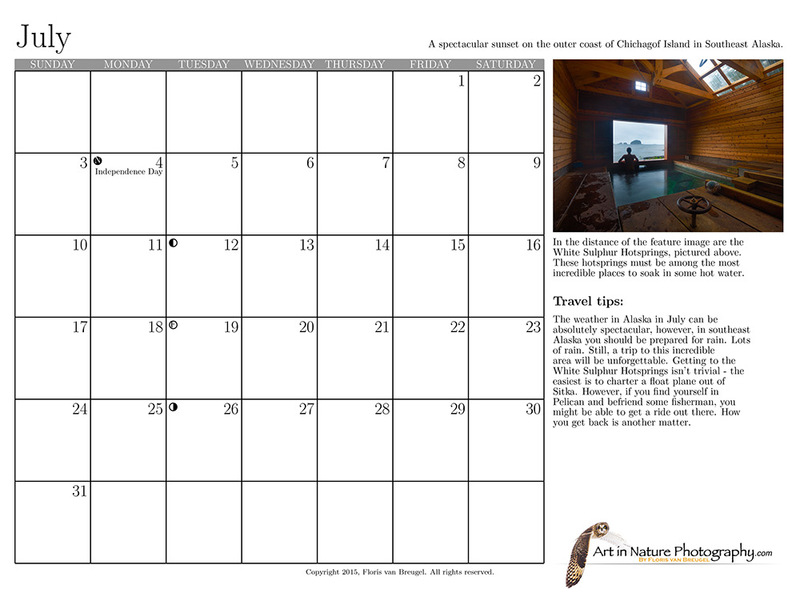 In addition to beautiful images, I provide travel tips for each month to help to encourage you to explore these incredible places yourself. Orders start shipping around Nov 21st, quantities limited, order soon! Local pickup available in Pasadena, or with confirmation from me. Use discount code "pickup" on checkout. The 2016 image selection includes photographs from my adventures across California, Washington, Alaska, and Wyoming. Each month includes travel tips, and a behind the scenes photograph, to help encourage you to explore the beauty of our natural world. Moon phases and US and major religious holidays are included.